This reclining sofa features an affordable price point and a traditional style. 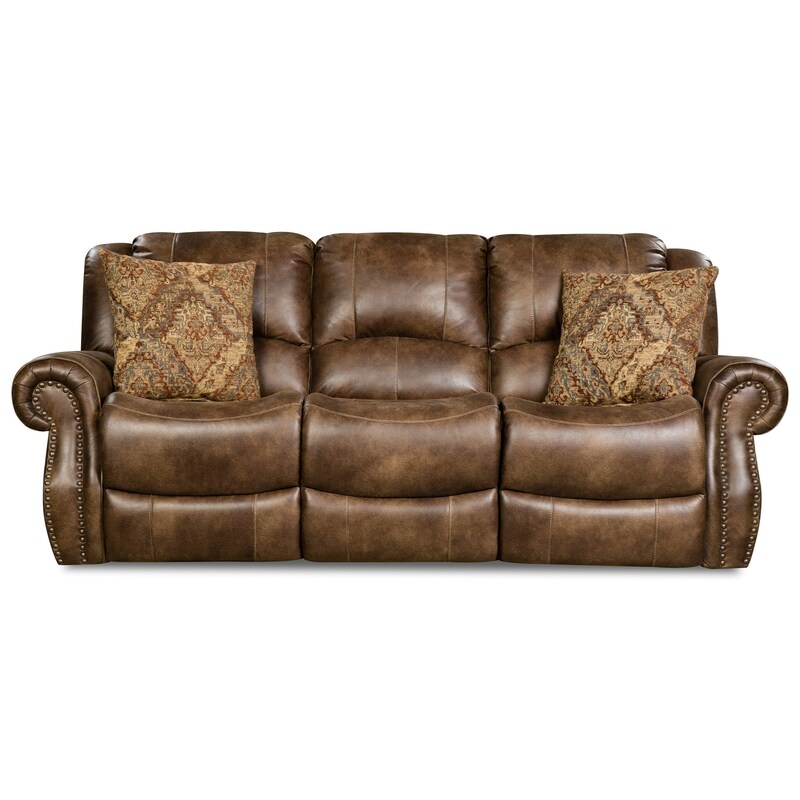 Details include two reclining seats and arms accented with nailhead trim. This item is available in standard recline and power recline option. The 69901 Recline Sofa by Corinthian at Household Furniture in the El Paso & Horizon City, TX area. Product availability may vary. Contact us for the most current availability on this product. Padding & Ergonomics 1.8 Density, 28-30lbs PSI Compression in Seat Cushions. Poly Dacron Filled Back Cushions. This reclining furniture collection features a traditional style at an affordable price point. Details include standard and power recline options and nailhead trim for a classic accent. The 69901 collection is a great option if you are looking for Traditional furniture in the El Paso & Horizon City, TX area. Browse other items in the 69901 collection from Household Furniture in the El Paso & Horizon City, TX area.